The PAS STSH 4000 high tonnage H frame servo press is a dual column, dual servo high tonnage servo staking machine. PAS offers the highest level of machine control in the industry to date. 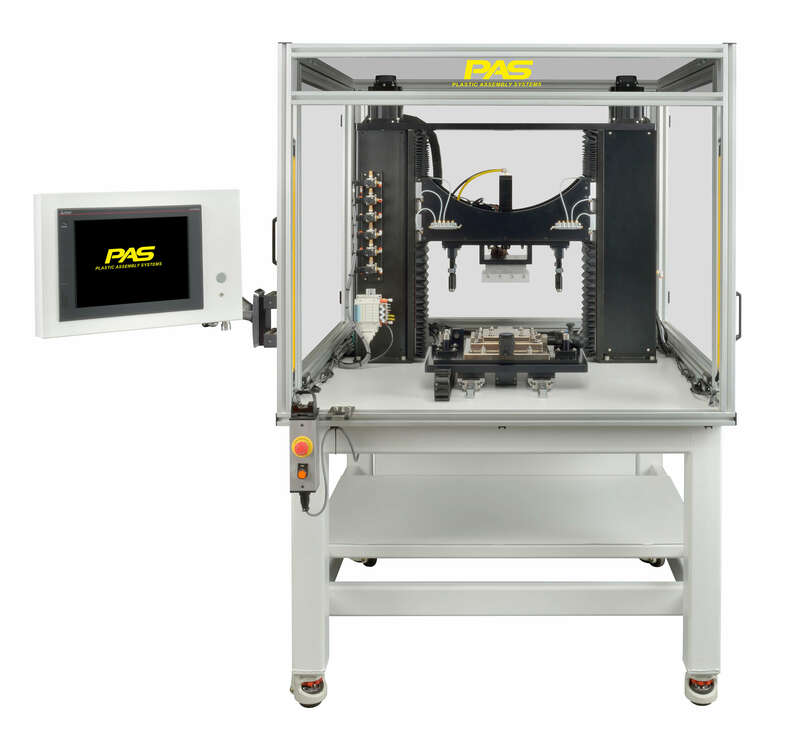 PAS couples new servo control technology with years of experience to bring to market the most advanced line of thermal assembly equipment. Servo control in the Z-axis allows for precise and fast control of your thermal applications. Our complete line offers end users the ability to run small, medium and large parts and applications that require high precision and repeatability. Thermal assembly makes use of direct contact heated tools and precisely controlled time, temperature, pressure, and cooling to reform plastic studs, walls, or protrusions or to embed metal components into plastic. Multiple operations can be performed on several planes simultaneously. Cycle times are relatively fast, allowing for the assembly of multiple products. Cosmetics are exceptional. Heat staking appears to be an extension of the molding process.